***Audi A6 3.0 Quattro TDI Prestige Sedan*** Turbo Diesel, Sport, Cold Weather Package, Low Miles!! 1-OWNER... Turbo DIESEL... LOW Miles!! 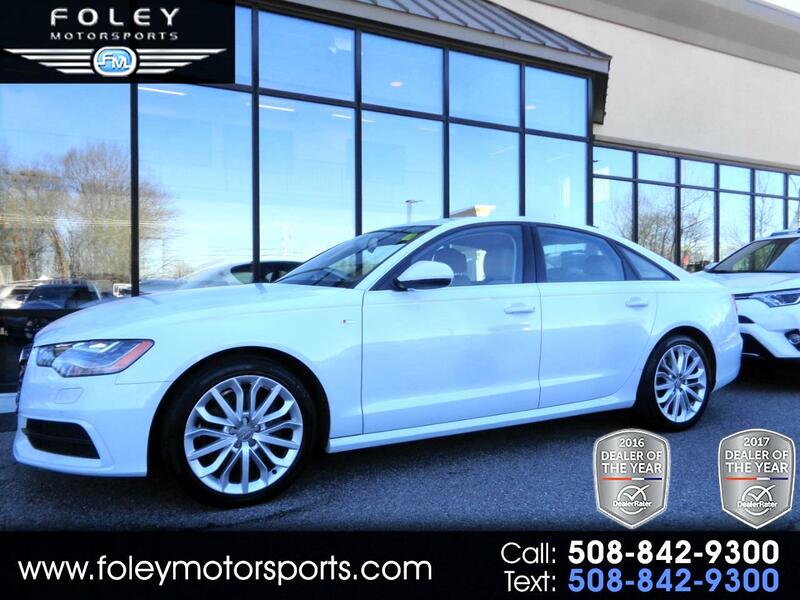 2014 Audi A6 3.0L TDI Prestige Sedan... Ibis White on Velvet Beige Leather Seating... 240hp 3.0L Turbocharged Diesel Engine... ALL Wheel Drive... Automatic Transmission... ONLY 25,756 Miles!! Completely LOADED... SPORT Package with Sport-tuned suspension, sport steering wheel, shift paddles and 19-inch wheels with all-season tires... COLD WEATHER Package with heated front and rear seats and heated steering wheel... adaptive headlights, special exterior styling accents, ambient LED cabin lighting, four-zone climate control, ventilated front seats, blind spot warning system, rear collision warning system, power-adjustable steering wheel, Bose audio system, xenon headlights, LED running lights, front and rear parking sensors, auto-dimming outside mirrors, keyless ignition/entry, voice-activated navigation system, rearview camera, HD radio, enhanced MMI controller, Bluetooth audio connectivity and more!! CAR FAX Certified 1-OWNER Vehicle Complete Bumper to Bumper Inspection and Limited Warranty Coverage Included!! Please feel free to contact our experienced sales team with ANY questions or to schedule a test drive. Buy with confidence from the area LEADER in Pre-Owned LUXURY. Additional 5 Year/100K Extended Warranty Coverage Available. ALL of our vehicles are meticulously detailed and serviced by our factory trained certified technicians. Call or email us at sales@rjfoley.com **$0 Down** 100% financing available with great rates! Trades are always welcome. National and International shipping quotes are available.